There’s no denying it, putting the pedal to the metal in a Polaris RZR XP Turbo S is a lot of fun. We had the opportunity to take the Turbo S for a spin at the Full Throttle Off-Road Rally in Sturgis, South Dakota; we were definitely impressed with the performance of the machine. Plenty of power, very smooth suspension and comfortable seating left us with a great first impression of the sport SxS. 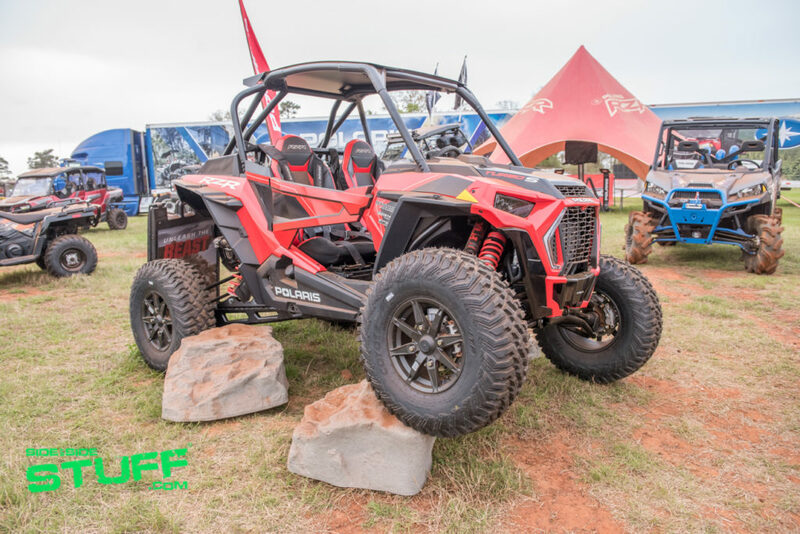 The high speed adrenaline rush had us wanting more; we can’t wait to get back behind the wheel of the RZR XP Turbo S.
The new model features some impressive styling changes and is beefed up with an all-new frame. Its stance is high and wide, coming in at 72 inches in width and getting 19 inches of travel in the front and 21 inches of travel in the rear. The Dynamix smart suspension feature is pretty neat too; the suspension adjustments can be done electronically, on the fly, within the dash. It features three suspension settings: comfort, sport and firm. We just can’t get over how great the ride was. 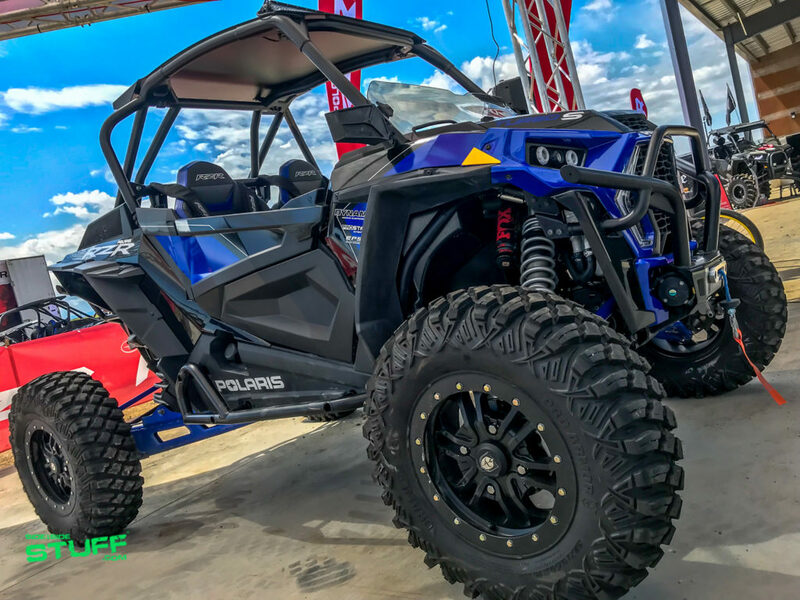 As excited as we are about the Polaris RZR XP Turbo S, we’re just as excited for aftermarket parts and accessories for it. At Side By Side Stuff, we offer a wide variety of UTV accessories for the Polaris RZR XP Turbo S and Polaris RZR XP 4 Turbo S so you can start accessorizing to give your ride a personal feel. As more aftermarket products become available for these new machines, we’ll be adding more products to our store. So shop today and keep an eye out for more accessories coming soon. Browse our selection of Polaris RZR XP Turbo S parts and accessories. Browse our selection of Polaris RZR XP 4 Turbo S parts and accessories.